What happens when your nation is swallowed by the sea? This moving documentary from Matthieu Rytz explores what it takes to migrate an entire nation with dignity. 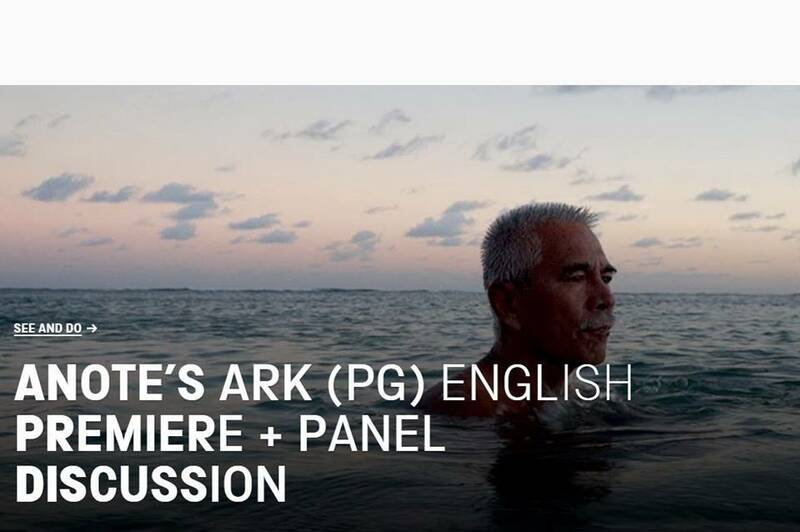 Following its world premiere earlier this year at the Sundance Film Festival, the Science Museum and Royal Society present the English premiere of 'Anote’s Ark', the very first feature film to be shot in the Republic of Kiribati. PANEL DISCUSSION: COULD GEOENGINEERING SOLVE THE CLIMATE CRISIS? The screening is followed by a panel discussion exploring the subject of geoengineering—deliberate large-scale intervention in the Earth’s climate system, in order to moderate global warming. Film and discussion - at the Science Museum, London.